You can now bring the ultimate Jedi Master to life in your living room! 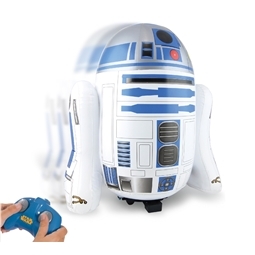 Take this Remote Control Inflatable Yoda on an intergalactic adventure in your living room! 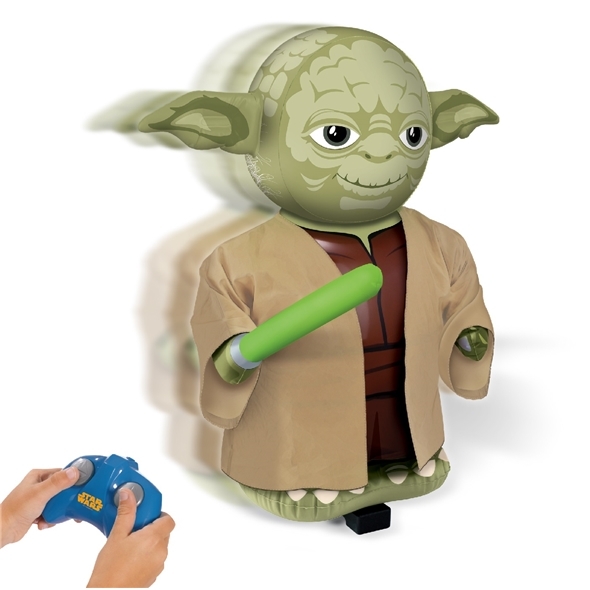 Once Yoda is inflated and clipped into the drive unit, using the easy-to-use handset, you can drive the Jedi Master in any direction you want and you can even spin him 360 degrees! He’ll operate indoors or out, so you can take the fun with you wherever you go! It also makes 11 original sounds from a push of a button, whilst you drive about on missions to save the galaxy! So what are you waiting for? Grab your very own RC Jedi Master today! Able to drive your very own Jedi Master you can, with this RC Inflatable Yoda. 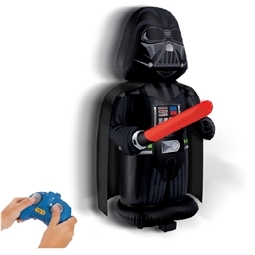 Simply pump up the inflatable Jedi Knight and using the cool remote control you can drive in any direction you want and you can even rotate the Jedi Master 360 degrees! Take him on intergalactic adventures indoors and out on missions to save the galaxy! So what are you waiting for? Grab yours now and have hours of fun with the ultimate Jedi Knight!